The US is pushing for tougher sanctions against Syria. China’s interests in the country could be a stumbling block. The Barack Obama administration is working hard to finalize a deal on energy and other sanctions, and may possibly issue a joint statement in the coming days with the European Union, Turkey and select Arab states, according to a Congressional staffer I spoke with who is privy to the information. This information appears to echo yesterday’s comments by the US State Department that more sanctions were coming and that the United States is focused on ‘closing down the pipelines and financial support of the regime.’ It also follows yesterday’s statement by the White House that Obama believes Syrians will be better off without President Bashar al-Assad. The problem, though, may well be getting China and Turkey onboard. The Obama administration’s increased aggressiveness toward Syria may be the result of several factors, not least the pressure he is coming under from influential members of Congress to be more forceful, especially amid the rising violence being used against civilians. The recently expanded EU sanctions against Syria are also a factor as the Europeans acted in spite of their strong economic interests in the country. Still, the White House is proceeding cautiously, and US policymakers want to be sure that any policy shift will be backed up with the tools necessary to induce the desired effect, especially if it is a call for regime change. No one wants to see Obama overplay his hand, which represents ‘a huge risk for the administration’ according to the staffer I spoke with, who wishes to remain anonymous. As a major regional player, NATO ally, and neighbour of Syria, many experts believe that Turkey’s alignment represents a key determinant of success for any US policy escalation. Indeed, some would go so far as to argue that the United States shouldn’t act without implicit Turkish acquiescence to any new policy. However, the question remains as to whether the United States can quickly close a meaningful deal with Turkey and move forward with serious action on Syria. Part of the challenge appears to be differing opinions as to what constitutes aggressive policies in the eyes of Ankara and Washington. Over the last few months, Turkey has favoured leading the diplomatic engagement over more aggressive international options. This is consistent with Turkey’s long-standing reluctance to permit outside interference in regional affairs. Until now, the United States appeared willing to give Turkey, as well as other regional players, the time to induce Assad to reform. However, those efforts have failed to achieve the desired effect. 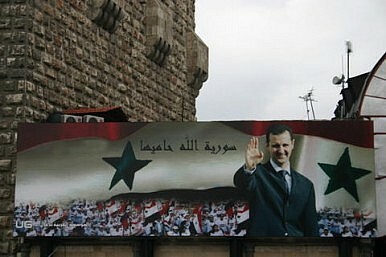 Assad has repeatedly rebuffed international recommendations, including those from Turkey and Arab states. He is also continuing with state-sponsored violence in the month of Ramadan and recently conducted military operations against Palestinian camps. Implicit in this discussion is the possibility of future military intervention in Syria. US diplomats must now critically assess how the United States could put military intervention on the table should sanctions be exhausted. Two possible scenarios emerge. The first would involve serious overtures to permanent members of the UN Security Council to ensure that they are on board with a resolution acquiescing to even harsher sanctions or military intervention. There are reports that such efforts have been made, and Russia has even made comments critical of Assad’s tactics. Such overtures clearly would be strengthened by the joint statement allegedly under discussion. However, the shadow of Libya may make it exceedingly difficult to secure Russian and (particularly) Chinese support. According to the staffer, this is further complicated by Chinese economic interests with Syria. ‘There are enough economic relations between China-Syria that Beijing would not be willing to acquiesce to sanctions and military intervention,’ I was told. The other option would be to goto NATO and push through military intervention in Syria without using the tacit support of the Security Council. That would place the veto squarely in Turkey’s hands, forcing it to choose between its NATO allies and its other interests. There’s also no guarantee that other NATO members, especially the veto wielding ones, would approve such an initiative in the absence of a marked increase in violence. In addition, action by NATO without larger international support could infuriate China, Russia, and other emerging powers, disrupting the security dynamics in Asia and undermining longer term Western interests. The US administration is therefore left in the difficult position of possibly putting forth new sanctions – unilaterally or in conjunction with regional partners – without either the support of major players like Iran, Russia and China, who could render such sanctions ineffective, or the veiled threat of future military intervention with its partners to bolster its demands. Ultimately, how well the administration is able to mitigate these risks will determine not only the success of this round of sanctions, but also the fates of thousands of Syrians who otherwise could fall victim to the regime in the coming weeks.